My favorite color is purple. I’m always drawn to the hues of lavender, amethyst, and plum. Several years ago I read an article which said colors have meaning. 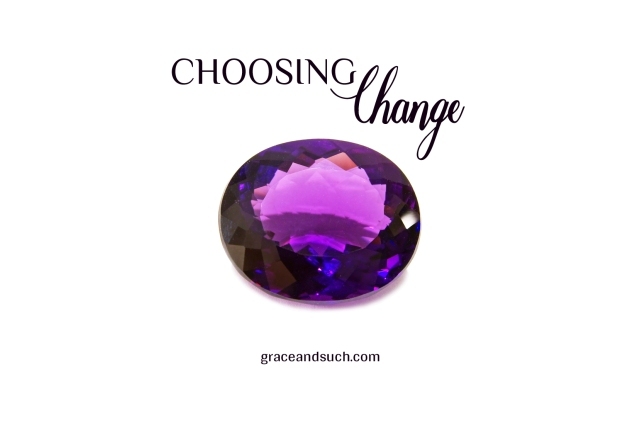 Purple, according to this article, is the color of change. That idea resonated with me, as change has a dominant role in my life. As a child, I moved a great deal whether it was to different schools, homes, or states….about every three years there was a new situation. To add to this place purple has in my life; I found out my given middle name means “purple stone”. Change is literally my middle name! Most of the time change has been against my will. When I was younger my parents made the decisions regarding change. My role was to take a deep breath and follow through with their decisions. I don’t really care for change. Yet as an adult there were moments when I, too, have chosen paths that have mandated change. This past year was one of those moments of choosing change. Last fall I began a yearlong retreat based on the 19th Annotation. (It is grounded on the Spiritual Exercises from Ignatius of Loyola. Instead of spending a month at a retreat center, I met with my Spiritual Director once a week.) I started this because I was looking for a deeper aspect to my faith, a faith beyond the accumulation of knowledge I’ve pursued the last few years. It turned out to be a tough year. My husband lost his job, and then started a new one working from home. I took a part time job working in retail that was restricting in terms of schedule and energy. An aunt I was caring for died. There was also good in this year. I learned a great deal about my faith and myself. The end of the retreat brought a new awareness. I learned something I’ve certainly known over the years and practiced, or at least I thought I did. This retreat gave me a surprisingly new understanding and appreciation for the belief: Freedom in Christ. What does this have to do with change? Yes, I do. I choose freedom in my life. Freedom to accept some of the past choices I’ve made. Freedom to look at the world as someone whose home is not here on earth, but in heaven. Freedom to make further choices based on what God is leading me towards, rather than what the opinions of others might be. Freedom from the expectations others place on me. Freedom to choose love and mercy without fear. I know that this change in my life will not be easy. Every day brings a reminder of my choice to live in freedom. Instances throughout the day challenge this decision. Freedom often comes with a cost. I recognize there will be moments of weakness and failure; times when I am misunderstood; places where I need reminding. Any changes we make in our lives often have setbacks, but I am resolved to stick to it. Being free because Christ gave me freedom, as He does for all who trust Him, is worth the effort. Each day brings opportunities for you and me to be free in the love that God offers. Are you being moved by God to change? 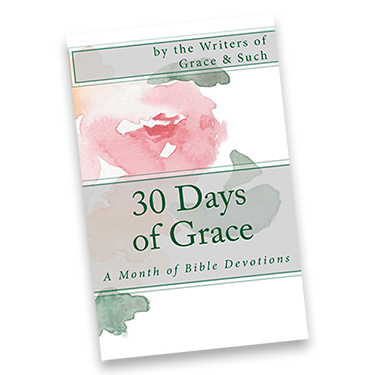 Do you have a sense of His presence in your life beckoning you towards a change? How are you drawn to respond? It is a hard change to bask in God’s freedom. So worth it. Thanks for giving this encouragement and perspective, Becky! It has to be a daily choice, and I don’t think it is an easy path, because it is now a threat to the evil one. Very thoughtful and thought-provoking post, Rebecca. Makes me think of the persecuted Christians across the world, choosing the freedom of Christ, rather than whatever rights or comforts they had prior to giving their lives to Jesus. Humbles me, and makes me want to be bolder in my life’s choices for change. Thanks Gretchen. I’ve often thought about the persecuted and martyred, and wondered if that was their perspective. Totally unburdened by the things of this life, and what will happen to them. I love this idea of “freedom to change”. Too often I might want to change the way I do something, behave, think, etc., but I don’t because I’m “expected” to remain the same or the change might be embarrassing.